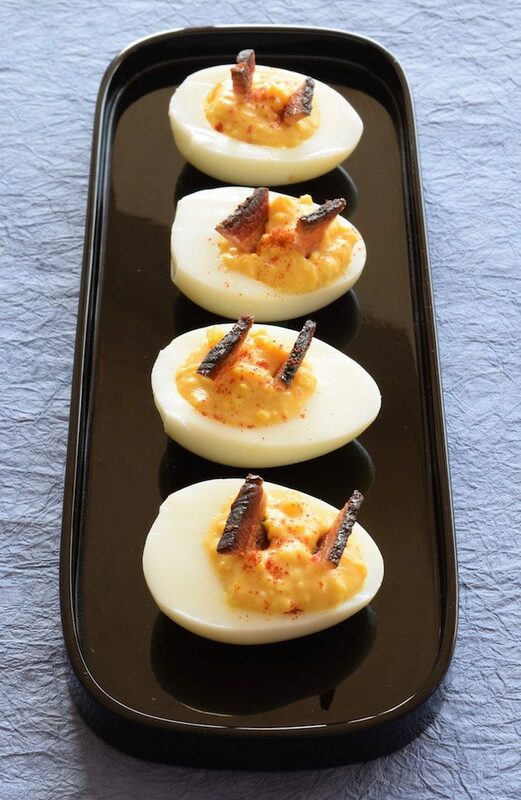 Nearly all foods are better with bacon, as are these deviled eggs. Besides, I’ve heard rumors that both the House and the Senate—since they have so much free time—are working on legislation requiring that eggs be served with bacon. No exceptions. Within that framework, these eggs would follow the new law to the letter. And yes, any food with egg as an ingredient would need to be served with a slice of bacon. I’m sure they’re working on the nuances of enforcement. 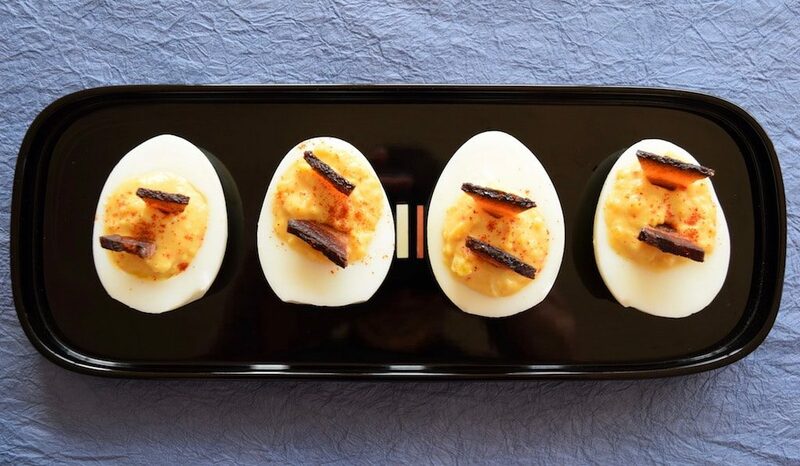 I’ve never made deviled eggs of any type before, but this recipe caught my eye as something to try. They turned out well, and next time I’d experiment with the sauces mixed in with the egg yolks. Hard boil the eggs, cool them and slice in half, lengthwise. Scoop the yolks into a bowl and work them into a fine crumble. If you’re using salt and pepper, add at this time. Add the mayo, chili sauce, mustard and Worcestershire sauce and mix well. If you crumbled your bacon, you could stir in about ¾ of it at this point. Spoon the mixture into each of the egg whites. Place pieces of crumbled or sliced bacon into each portion of the egg mixture. Sprinkle paprika or smoked paprika over each serving—this tastes good and gives the eggs an appealing look.